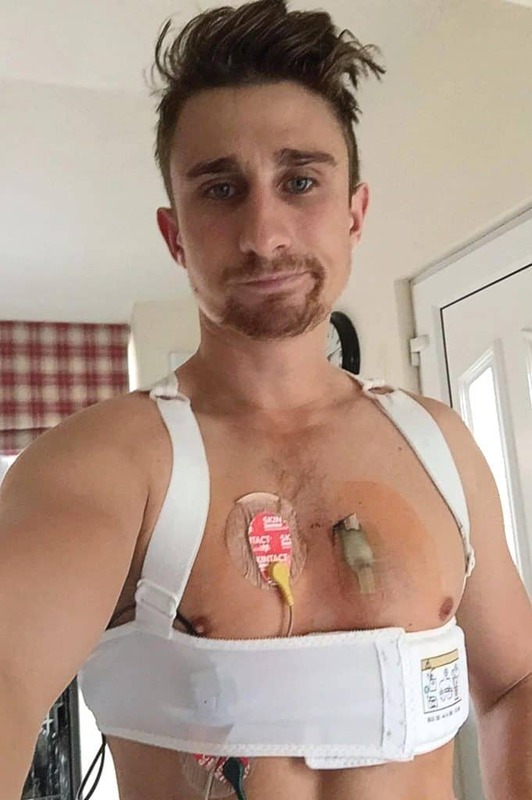 In April 2016 cricketer James Taylor’s life was turned upside down. 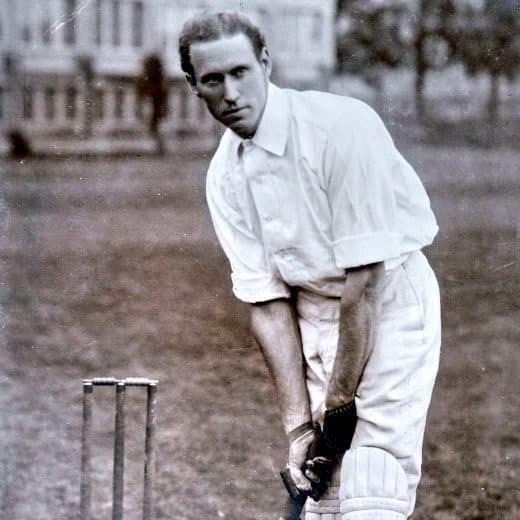 On the second morning of a match against Cambridge University, he was taken ill with what he at first thought was a virus, which turned out to be a serious heart condition that forced him to retire from the game he loved when at the pinnacle of his career. 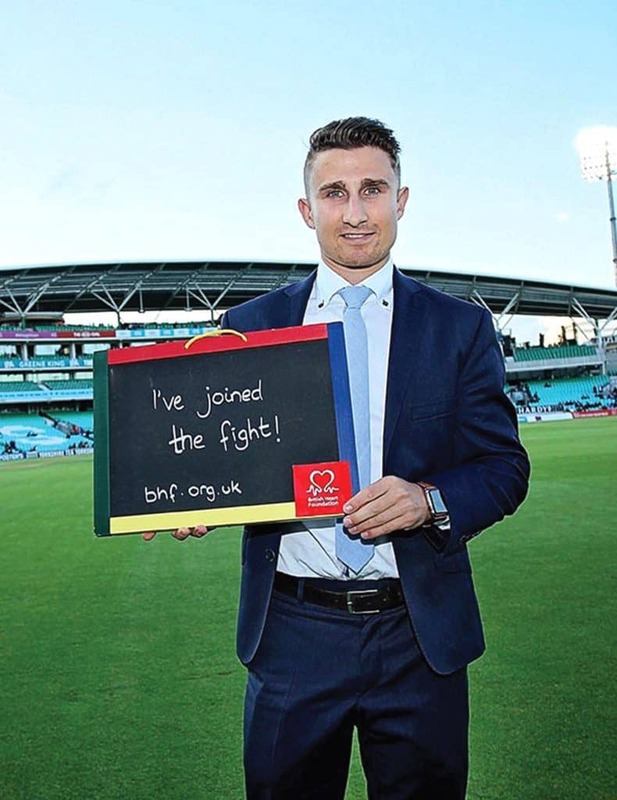 Many dealt his hand wouldn’t have bounced back, but he channelled his relentless positivity and determination to regain his health and forge a new life helping others in the sport, whether by coaching, informing the public on Test Match Special or in his new role as England scout. 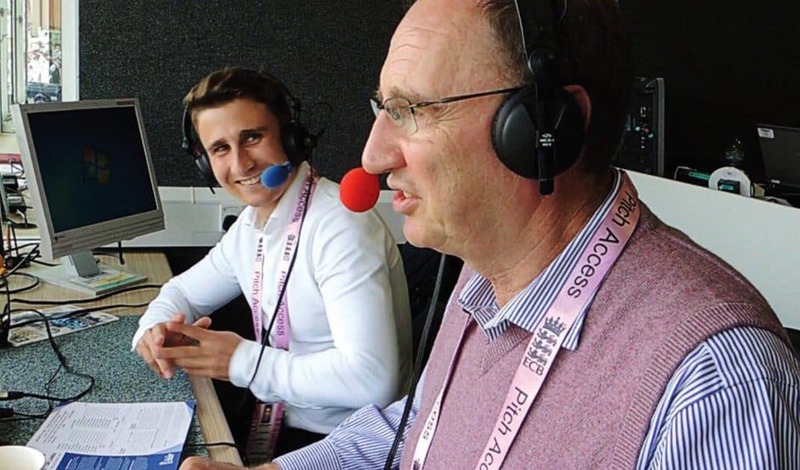 In his wonderfully honest autobiography, Cut Short, James Taylor looks back over his life, from his young cricketing days to his pride batting for England, and of course the near tragedy in Cambridge. We sat down recently to speak to him about that fateful day, the greatest moments of his career and what the current England side need to bring them more success. The MALESTROM: You mention at the start of the book that a sportsman’s autobiography is written after a long career so it must have felt strange writing yours at such a young age? James Taylor: Yeah it was. I never really thought about writing a book before obviously, now was the right time to do it with everything that has happened. It was an opportunity for me to tell my story because there’s so much most people don’t know about how I grew up, my work ethic, people that helped me on the way. There’s so much over the last couple of years that people really don’t know, they think they do but they don’t. Because you can be who you want to be on social media and portray yourself to be however you want to be. I’m always going to be positive and that’s the way I live my life, which is what I show on social media, but there are things that people don’t know, what those feelings are that I feel every single day, the challenges that I’m up against, so it was nice to be able to mention those. TM: What does shine through is the positivity, with what’s happened to you that’s been a must hasn’t it? JT: Exactly. I’m very fortunate that’s the way I’ve always been, I’ve always relished challenges put in front of me, I’ve always enjoyed proving people wrong who say “you can’t do that” and then doing it. It’s just another way of showing me being positive. TM: Obviously you write in detail in the book about that day at Cambridge. As a fit young man, when something goes as badly wrong as it did, that must have been really terrifying? JT: Yeah, it was awful, but when you’re in the moment you just need it to stop, you just want it to stop. Hence when I was at Cambridge I just wanted to pass out for it to stop. 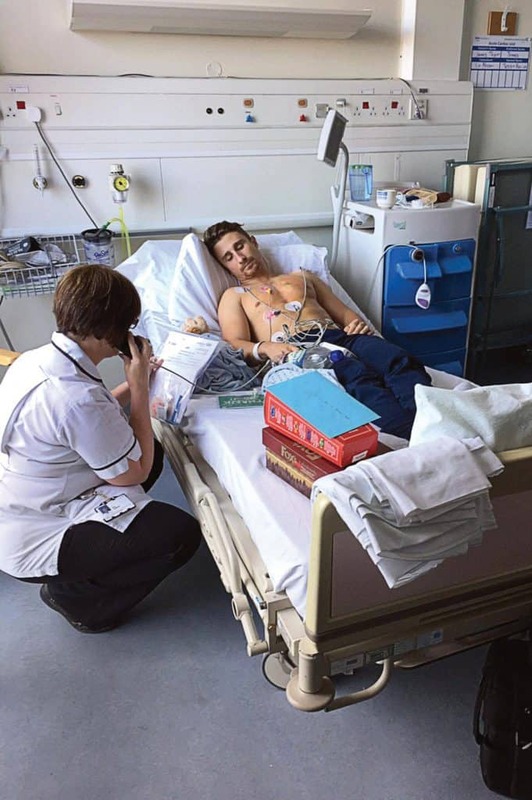 I didn’t realise the significance of the issue, at the time I thought I was going to die, but that probably lasted for minutes rather than hours, I didn’t quite know what was wrong with me. Sometimes the unknown is a little bit better because you don’t know what to expect and you don’t know what’s quite happening so you don’t have as much to fear. That kind of made it a little easier, but it was just incredibly uncomfortable. Thankfully when I did eventually get to the hospital they worked wonders as they do with a lot of people. TM: It wasn’t a quick situation getting you to the hospital was it? JT: It was rather delayed, but that only adds to the story doesn’t it (laughs)? Again that was the unknown, assuming one thing but then it being totally, totally different. It enabled me not to think too much into it really, which probably helped in the long run, but I got there eventually. I should have died, which is amazing. That’s why I don’t mind talking about my story because, one, I want to help people, but two, I find it fascinating myself because I know how incredibly lucky I was, because a lot of people aren’t as fortunate as me and the stars aligned and things that I’d done in my past enabled me to battle through, I believe, to get me to the point I am at the minute. 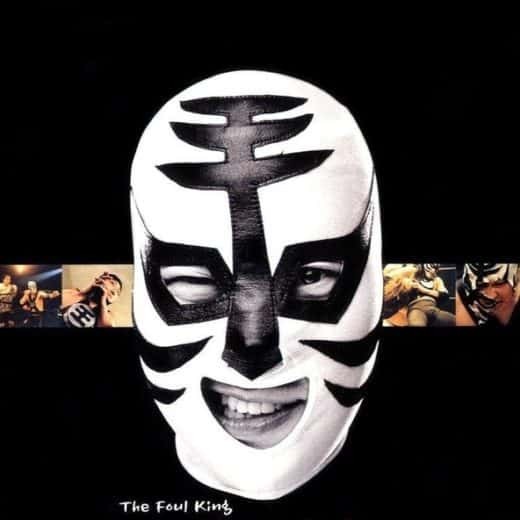 TM: You didn’t want to show any weakness to those around you at the time, you were keen to disguise that. Was that just being a sportsman and not wanting to show any chinks in your armour? JT: Yeah, being a bloke for one and being a professional sportsman, especially being in a team surrounded by elite athletes and professionals and blokes, you don’t want to show any weaknesses and I’d never done really that in the past so I wasn’t going to start now. Again the unknown, I didn’t know how serious it was, so I had to put on a brave front, all I assumed was that it was a virus and you can’t be showing such pain for a cold or a virus, so I tried to battle through as best as I could. JT: That was terrifying. Obviously, it happened too quickly for me to know what had happened, but then once it had gone off and I realised the severity of the moment I was astonished by the technology, how unbelievable it was and what had just happened. And the fact I was able to talk a second after it re-started my heart. JT: It was a phenomenal moment and incredibly scary, I knew my heart was bad, but that was when I realised how serious this was, because there I was just standing talking in front of I don’t know how many people, and for that to trigger, then I knew my condition was incredibly serious. It was upsetting for me to know how ill I really was, how bad my heart was. TM: Your decision to retire wasn’t taken lightly, how was that from someone who’s forged a career from a youngster to become a top line player? JT: Well it was taken out of my hands because of the severity of the situation. Physically I could barely walk for a week after my attack and I knew my body was in really bad shape and I couldn’t possibly compete, let alone do exercise to the extent I needed to. That made it a lot easier, however, that was as hard a moment as I’ve ever had in my life to deal with that, it was very upsetting. Especially the way I went about things, I always strive to be the best, I worked incredibly hard, no stone unturned, that was my philosophy when exercising when training. It wasn’t just me that had worked incredibly hard, there were so many people around me that had helped me get to that position, whether it be my parents driving a three hundred mile round trip to get me to training for a couple of hours or it was my mentors along the way that had helped me. So there were lots of people that had sacrificed a lot as well and were desperate to see me achieve the things I should achieve, so that was really tough, especially considering I’d broken down so many barriers getting where I’d got, with international cricket. I should have played a shedload more, but didn’t, and I’d finally got there, that was the hardest thing. TM: Who were you’re biggest influences when you did break into that England team? Who was helping you at that point in your career? JT: I worked incredibly closely with Mark Ramprakash and Graham Thorpe. Ramps and Thorpy in the Lions and Ramps was obviously the England batting coach when I was at the top. But also Peter Moores was brilliant as well. There were those three guys at the top but all the way through I had the mentors that shaped me into who I was as a person, as a player. I had Steve Scofield at my prep school, then a guy called Paul Prichard at Shrewsbury, then Tim Boon, all these guys have had massive influences on me. 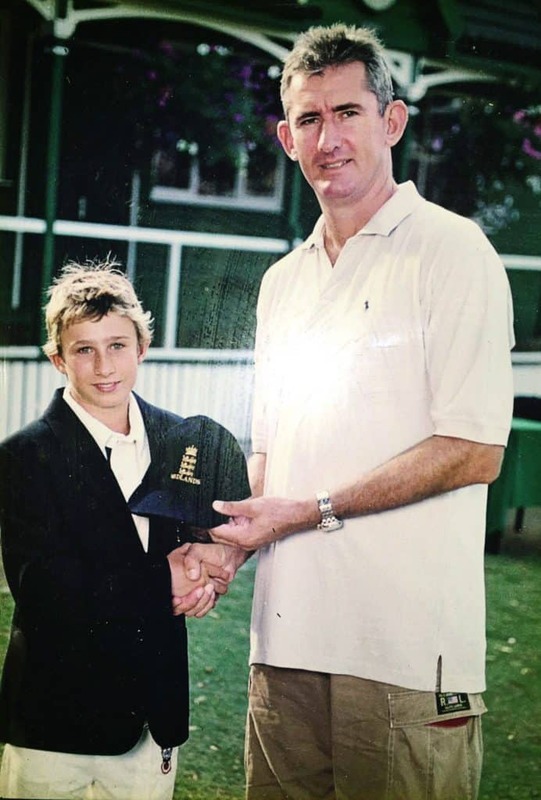 A young James being presented his Midlands Under 13s cap by Andrew Caddick. TM: Obviously your career was shorter than you’d have hoped, but you still had a great career in terms of what you achieved. What was the stand out moments would you say? Your debut at Headingley must have been a big one? JT: That was a huge moment for everyone, as well as me, that was a special moment. Another stand out was that 98, even though it was in a losing cause, but 98 in the World Cup in front of thousands of people was massive because people saw that I could play in that tough situation and dominate Australia, the best team in the world. Obviously scoring a hundred against Australia was great, people would probably say that was the biggest, but the best, most fun, joyous moment was taking those catches in South Africa and winning that test series with a side that wasn’t expected to win, we were less experienced than South Africa and we hadn’t played the best cricket leading up to that, so that was a special moment. TM: Who would you pick out as the best bowlers you’ve faced? JT: I think in one day cricket, even though I hit him around in that game at the MCG, Mitchell Starc is up there. But in test cricket the one that I found the hardest was Vernon Philander because I’ve always found guys that test your technique consistently, who bowl around off stump, which automatically challenges your technique, to be the hardest. He wasn’t the quickest and I quite like a bit of pace on the ball, hence why I didn’t mind Steyn and Morkel as much as I did Philander. He’s a phenomenal bowler, he’s not your traditional international bowler, he’s not your 90 miles an hour, swing it away, nip it back in kind of guy, he’s just incredibly accurate, nagging, metronomic and will always challenge you, he was certainly that. JT: Well I always try. The Dominic Cork one, that was just an example with me, when people are disrespectful and they think they’re more familiar with you than they are, they think they can take the mick out of somebody’s condition when they don’t really think much about it. Maybe that was just like a knee-jerk reaction in that situation, trying to break the ice maybe with Dominic Cork, for me it was just insensitive and disrespectful, effectively embarrassing me. I didn’t mention it in the book because of that, it was just an example of people disrespecting somebody’s condition even if they don’t really know them. With my mates, I’m the first one to joke about it, but when people are disrespectful they cross the line. 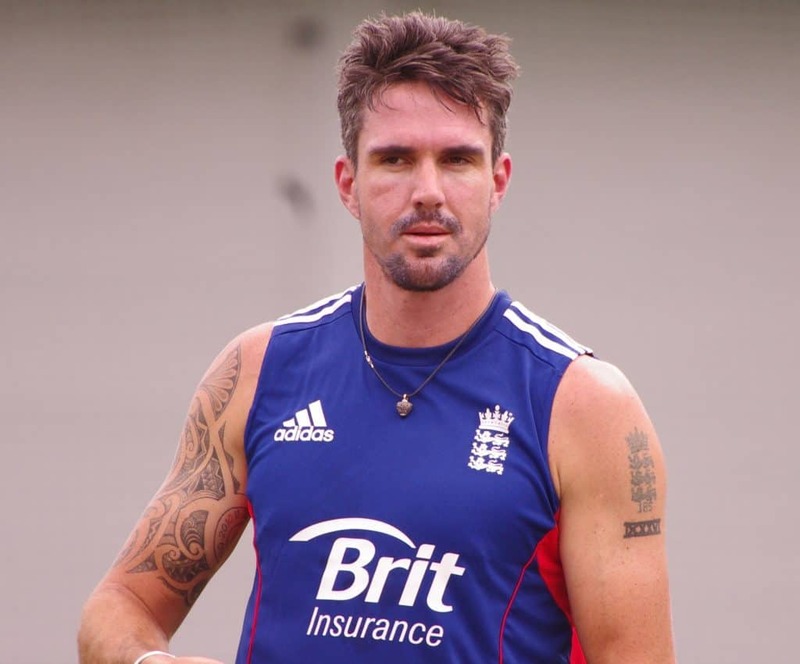 With KP, I loved the way he played, respected him massively as a cricketer, but as a person, it was a shame that we never really clicked and he found the need to behave the way he did around me, it was bizarre considering he shouldn’t be intimidated or find me threatening, but that was the way he acted which was a shame. JT: Yeah, I’m not sure how well he takes it, you have to be able to laugh at yourself, without people going too far, I think that’s the key. TM: You’ve been in lots of different dressing rooms over the years, can one person affect the others quite significantly? JT: Yes hugely. I think that the changing room dynamic is so important to the way individuals and the team perform. One guy can certainly make the difference, and equally one guy can be a real positive impact on others and at the time I feel that was just detracting from the changing room. TM: You’re now an England scout, that’s quite the honour. How do you feel about that? JT: That’s brilliant, it’s one of the paths that I want to go down, that scouting, selection route. 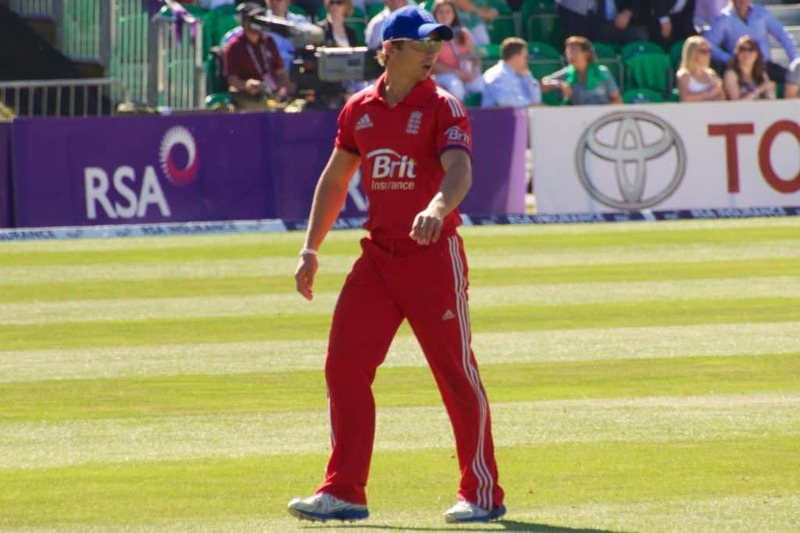 I want to help English cricket in any way that I can, hence why I’ve got involved in coaching. Scouting is brilliant, looking at the next generation, the next best, I think I’ve got an eye and the knowledge of the game to help, so it’s really exciting to be involved. JT: Yeah, I think it’s really important to know the mentality it takes to perform at the highest level as well, I think that will help. 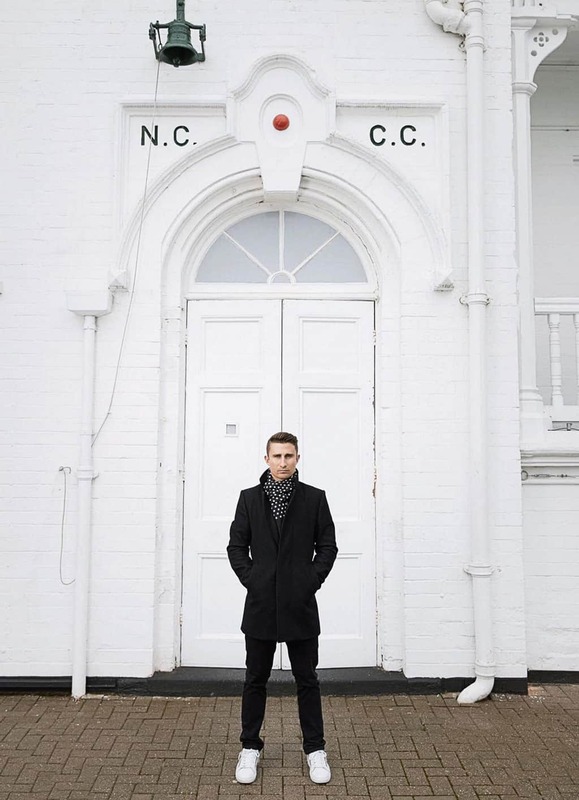 And it’s not just how many runs or how many wickets, there’s not one way to skin a cat, just because someone doesn’t look as pretty on the eye, it doesn’t mean they’re not going to be effective, I’ll keep both eyes open in terms of scouting talent, put it that way. TM: Is there anyone you’ve seen recently in terms of emerging talent? JT: Lots come to mind, but I don’t think there’s any single one person at the minute… yes the test side hasn’t been performing as well and even the Lions haven’t been churning out runs and wickets with all their potential, but there’s plenty out there, young talented batsmen that need to find a way to score big runs and consistent runs. And there are lots of big quick bowlers, so it’s up to them, the challenge now for those individuals with the bat or the ball, they need to find a way to be consistent and get their names up in headlights so they can get selected for the next level. TM: Obviously the last England performance against Pakistan was night and day compared to the way they played at Lords. But what do you think the current side is missing with the recent record just not being good enough? JT: I think they’re missing consistency. Techniques have been exposed when the ball has moved around, but I think that’s a credit to Pakistan, certainly at Lords. Pakistan were excellent and England were really poor technically. Decision making at times was poor and they know that. They’ve got some world class players in the side, so it’s just about displaying those skills well enough for long enough. It’s what I keep banging on about, they need to be more consistent in everything they do. That includes simple basics like keeping the same slip cordon and getting your best catchers in there. 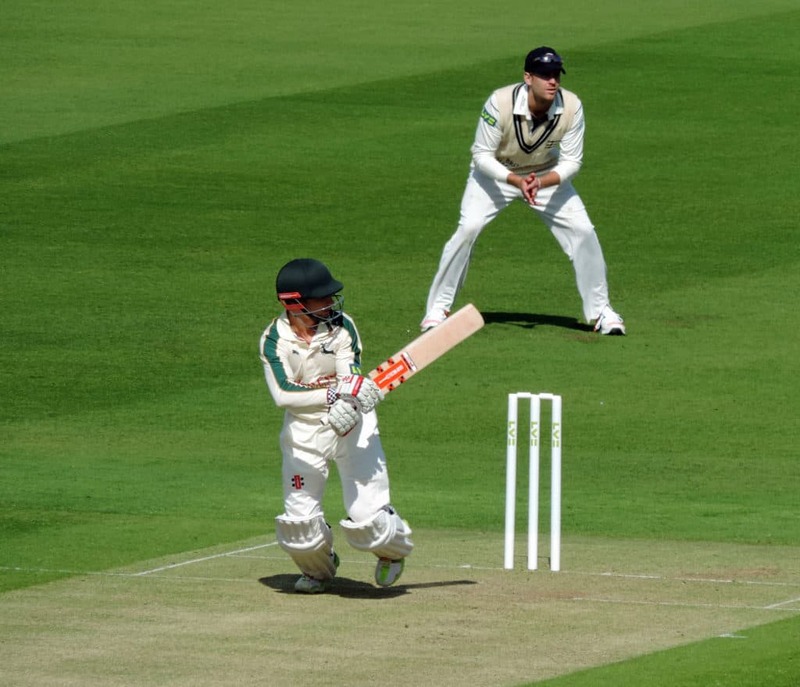 Stick with it rather than juggling things about, it’s the same with the batting, do your skill, be patient for long enough to be able to stay out there at the crease and score some runs. We’ve got the best opening bowling partnership I think there’s ever been in the game almost, so it’s not all doom and gloom, I think for me they just have to find a way to be more consistent. TM: What was your mental preparation like when you went out to bat? You were extremely focussed. JT: Everybody is different. Routines are very important to bed you into the situation easier. So you feel comfortable you’re repeating the same things time and time again, whether in training or in a match, I think it makes you a lot more at home if you’re repeating the same things. Hence why I would train really hard and practice everything I could so that when I went onto the field it was a lot easier, my philosophy was train hard and play easy, so do everything hard off the field so that when you got on the field, you knew that you’d achieved everything you needed to leading into the game. TM: You mentioned facing quick South Africans earlier and that you didn’t mind that pace, but what’s the difference between a delivery in the mid 80mph to serious pace at 90mph plus? JT: It is a big difference, especially if you’re going from low 80s to high 80s, that’s where the big difference is obvious. Without stating the obvious you have less time to react and your decision making becomes that bit harder, especially if the ball is moving. I was lucky, I loved pace on the ball, it suited my game, but there’s a lot of people that don’t enjoy it and shy away from the quick bowling. Not because they’re scared, just maybe their game isn’t suited to it. What I’ve seen a lot of in our fast bowlers coming through is that they’re really incredibly tall, I saw a group training at Loughborough and it was like the land of the giants. The bowling guru there Kevin Shine is very confident there are some guys coming through. TM: Going back to test cricket, do you think we’re on the cusp of losing it? There’s no test match now till August, which is unlike any other summer. One-dayers seem to be the main attraction, is that a concern to you? JT: No, not necessarily a concern, but it’s not ideal for England, struggling to find continuity and consistency in all of the facets of the game. It’d be a lot easier if these games were coming thick and fast, but with this break now after they performed so well at Headingley it’s not ideal. But we’re coming into these one day games where England are incredibly good, number one in the world, so it could be a good thing for England really. TM: So you think test cricket is here to stay? JT: Yes. For me it’s the pinnacle of the game, it’s the hardest format to play. You have to use your skills well enough for long enough, you’ve got five days there’s no hiding place, you’ll get found out over a longer period of time. With one day cricket, you’re out there to express yourself for a good time, not a long time, so it’s a little bit easier. We’re very fortunate in England we get good crowds consistently, other nations aren’t as fortunate. Because of T20 and IPL, that is becoming more popular amongst the younger generation, but I think for my generation it’s still the pinnacle, I just think we need to keep finding a way to get crowds through the doors all around the world and not just England. JT: I think it’ll be fascinating to see how it goes down. I think if we’re going to do it we should throw everything behind it and I know the ECB will be doing that. For me the big draw is the world-class players, the best players in the world will want to play. Even though it’s a different format it’ll be one of a kind, it will draw big crowds with all the razmataz around it. I think to see the best players will have huge appeal. TM: Where do you see your future? You’re busy with your scouting role and broadcasting, how are you finding those changes? JT: I’m loving the media work that I’m doing. Writing columns for the Evening Standard, working for Test Match Special and other TV work, I love it, it’s the next best thing if you can’t play, it’s great to still be involved in that respect, and a bit of coaching as well. People say “where do you want to be in ten years?” If I was in exactly the same place in ten years time I’d be happy. TM: And in terms of your condition, how are you right now? JT: Things are alright. I just need to not stress or overdo things and hopefully, I’ll be able to look after myself. TM: We always like to finish by asking for a piece of wisdom you’ve gleaned from your career, does anything come to mind? JT: I think mine would be, relish the challenges that are put in front of you, whatever they are, relish them, go with them, embrace them, enjoy the challenge whatever that might be. When I got ill it was just another challenge to overcome and to turn any situation into a positive one. It’s what I’ve tried to do and that’s how I live, by enjoying things. 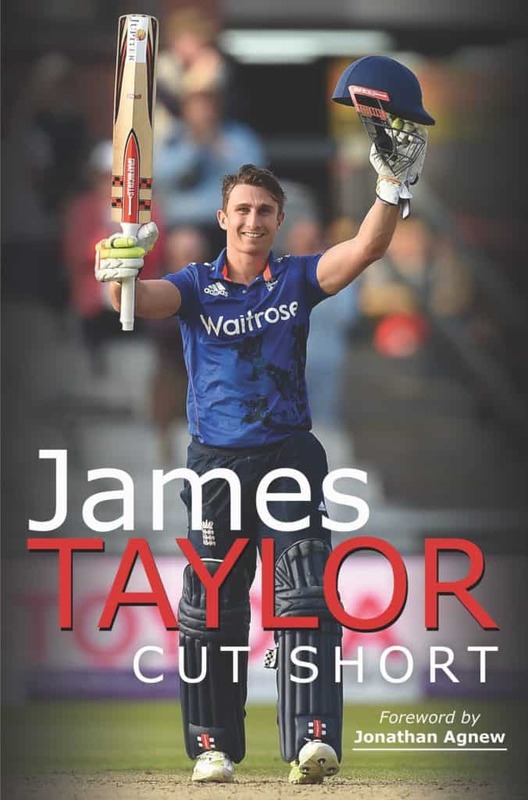 The inspirational read, James Taylor Cut Short, is out now. Get your copy HERE.